Home Comunicati stampa Lucca Film Festival and Europa Cinema, The complete program. Lucca Film Festival and Europa Cinema, The complete program. Stephen Frears, Martin Freeman, Rupert Everett, Anton Corbijn, Bertrand Bonello, Sabina Guzzanti and Laura Morante are the guest stars of Lucca Film Festival e Europa Cinema 2018 taking place from the 8th to the 15th of April in the Tuscan cities of Lucca and Viareggio. A stellar red carpet with the Film Festival paying tribute to each of the film stars with dedicated film screenings, prize-giving ceremonies and encounters open to the public. For the 3rd year in a row, the International Feature Film Contest returns with 14 films competing from around the world that are also premiering in Italy. The Hors-Concours Premiers and the well-established International Short Film Competition further enrich this not-to-be-missed event. The Film Festival will take place in various locations around the city, including the cinema Astra, the cinema Centrale, the Teatro del Giglio, Palazzo Ducale and the Fondazione Ragghianti. Sunday, 8 April at 4 p.m. at the Teatro del Giglio, Italian actress Sabina Guzzanti will be the first guest of honor of Lucca Film Festival and will speak about cinema and satire together with journalist Silvia Bizio. Day 1 of LFFEC will continue at the Cinema Astra with the Italian premiere of the first two episodes of the third season of Billions, on air starting Friday,13 April aired exclusively on Sky Atlantic The premiere screening of the TV series is part of the collaboration with Sky Atlantic as a media partner of the 2018 edition of the Lucca Film Festival e Europa Cinema which will also be providing updates about the event through the Cinepop magazine and Sky TG24. Day 1 continues with the Italian Premiere of “Storie di Altromare” directed by Lorenzo Garzella, a biographical film that introduces the viewer to the visual, visionary and human universe of artist Antonio Possenti (1933-2016). At 8.30 pm. Isle of Dogs by Wes Anderson (2018) will be screened in an Italian premiere. The latest animated film by the American director features a young adventurer who stumbles upon a group of dogs quarantined on an landfill-island. Released by 20th Century Fox, the film will be coming soon to Italy. The British actor will receive a Lifetime Achievement Award on Monday 9 April at the Cinema Astra at 8.30 p.m. (Via della Dogana 7) and, together with Roberto Recchioni, Martin Freeman will present in Italian premiere his latest work Ghost stories co-directed by Jeremy Dyson and Andy Nyman adapted from their eponymous stage play in which Freeman interprets Mike Priddle . “Ghost stories” will be in Italian cinemas from 19 April and is distributed by Adler Entertainment. After the screening, Martin Freeman will meet the audience. 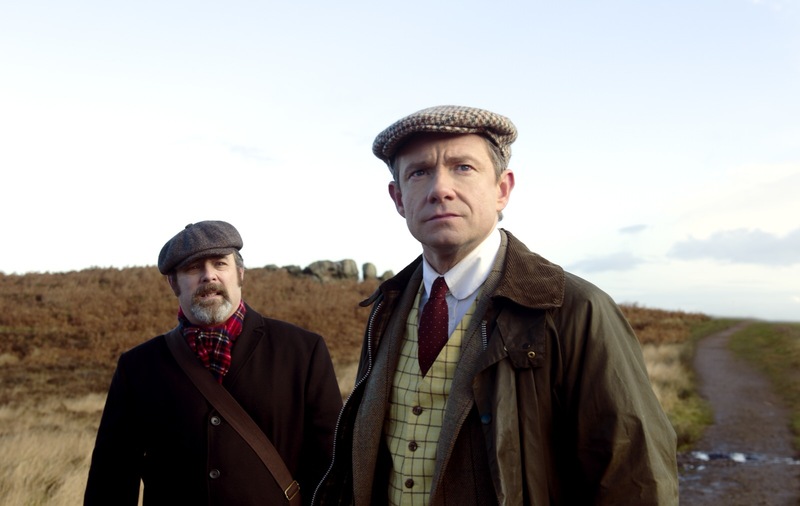 A multifaceted actor, over the past twenty years, Martin Freeman has encountered remarkable success both on the big and on the small screen, playing unforgettable roles such as Bilbo Baggins in the three film adaptations of J.R.R. Tolkien’s The Hobbit the fantasy, Dr. Watson in the publicly acclaimed television series Sherlock and Lester Nygaard in Fargo, the award-winning production inspired by the homonymous film directed by the Coen brothers, without forgetting the witty salesman Tim Canterbury series that led him to be famous, The Office. Renowned worldwide for having immortalized the heavyweights of rock history, from Joy Division and Tom Waits to the U2 and Rolling Stones and for having produced over 60 video clips that include masterpieces like Heart-Shaped Box by Nirvana and Personal Jesus by Depeche Mode, the Dutch photographer and Director Anton Corbijn will be in Lucca as a guest of the Lucca Film Festival. Corbijn will hold a masterclass open to the public at the Cinema Centrale at 11 a.m. (Via di Poggio Seconda 36) in which he will illustrate his forty-year militancy behind the lens and talk about the relationship between cinema and music Corbjin’s Before the masterclass, at 9 a.m., Control, the biographical film dedicated to Joy Division leader Ian Curtis that won several awards in Cannes 2007, will be screened at the Cinema Centrale. In the evening, Anton Corbijn will receive a Lifetime Achievement Award at 8.30 p.m. at the Cinema Astra and present the film Life (2015). 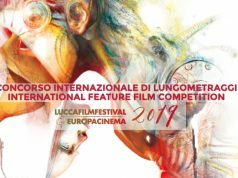 Among the special events, Lucky directed by John Carroll Lynch starring Harry Dean Stanton, David Lynch, Ron Livingston, Ed Begley jr, Tom Skerritt and Beth Grant will be screened in Italian premiere at Cinema Astra at 8.30 p.m.. 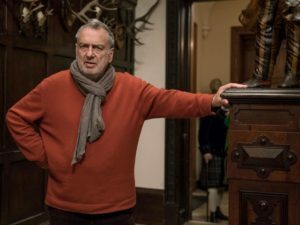 The film, recently presented at the Locarno Film Festival, offers a bittersweet portrait of the aging process by focusing on the face and body of a great actor. The film is scheduled to be released in Italian theaters by Wanted Cinema. Rupert Everett will present his latest film The Happy Prince at the Lucca Film Festival e Europa Cinema at 8.30 p.m. on 12 April at Cinema Astra. On Thursday evening, the British actor will meet the public and receive a Lifetime Achievement Award. Recently presented at the Sundance Film Festival and at the Berlinale Special Gala Event, The Happy Prince narrates the last days of Oscar Wilde’s life and stars Everett in the dual role of director and protagonist alongside actors such as Colin Firth and Emily Watson. The film will be in Italian cinemas starting that same day, distributed by Vision Distribution and produced by Palomar. Rupert Everett’s career has been intense and extraordinary, a multifaceted one that ranges from literature to comics, from cinema to theater and television. The making of The Happy Prince was strongly yearned for by the British actor and director and crowns a long career that has led Everett to interpret some of the best-known roles of British literature, such as Oberon in A Midsummer Night’s Dream, Lord Arthur Goring in An ideal husband, Algy in The importance of being Ernest. Over the years, Rupert Everett has also collaborated with internationally renowned Italian directors such as Francesco Rosi in Chronicle of a death foretold, Giuliano Montaldo in The golden rimmed glasses and Michele Soavi in Cemetery Man. Having celebrated David Lynch (2014), David Cronenberg (2015), George Romero (2016) and Oliver Stone (2017), Stephen Frears will be the protagonist of one of Lucca Film Festival e Europa Cinema 2018’s main sections. 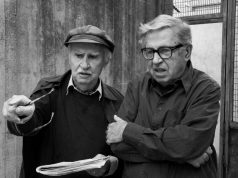 The twice Academy Award nominated British director (in 1991 for The Grifters and in 2007 for The Queen) on Friday 13 april at 8.30 p.m. at the Cinema Astra will receive a Lifetime Achievement Award introduced by journalist Francesco Alò. Immediately after the screening of Victoria and Abdul (9 a.m.), on Saturday 14 April Stephen Frears will hold a masterclass on cinema moderated by Alò at the Cinema Centrale in which the British director will answer questions from the audience and meet students. The Festival will also honor Stephen Frears with a film retrospective of some of his most iconic works, retracing the highlights of his career as a filmmaker; from his debut film Gumshoe (1972) to the recent Vittoria and Abdul (2017) passing through unforgettable classics that include Dangerous Liaisons (1988), High Fidelity (2000) and Florence (2016), without forgetting Vendetta (1984) and The Grifters (1990). 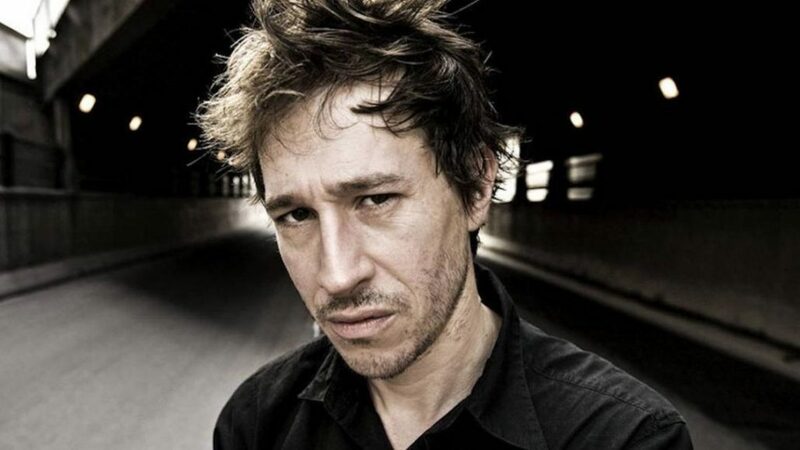 The film festival will celebrate director Bertrand Bonello by screening several of his works at the Cinema Astra on Sunday, 15 April. Bonello and Antoine Barraud will introduce Le dos rouge in Italian premiere. After this screening, Bonello’s films Sarah Winchester, Opéra fantôme e Nocturama will also be shown. Italian actresses Sabina Guzzanti and Laura Morante will also be guests at the Lucca Film Festival e Europa Cinema to take part in meetings and screenings that focus on women’s cinema, a section organized by the journalist and historical member of the festival Silvia Bizio. A strong and bold look, a new and timely one that interprets intra-generational, international, religious and political conflicts and uses images to depict the relationship between mothers and daughters, women and work, physical abuse and gender-based violence. Film as a means to reinterpret the most pressing current events. On Sunday 8 April at 4 p.m., Sabina Guzzanti will hold a masterclass at the Teatro del Giglio whereas Laura Morante will meet the public on Saturday 14 April at 5 p.m. at the Cinema Astra. Two opportunities to focus on women and on their ability to reflect and carry out activities in a creative and professional way while at the same time finding a balance between family, work and daily life. Another not-to-be-missed event is the public roundtable entitled Women who Break Barriers: literature, cinema and society moderated by Silvia Bizio with the participation of Concita De Gregorio, Martha De Laurentiis, Paola Ferrari De Benedetti, Cinzia TH Torrini, Laura Mancuso e Stefania Ippoliti. During the roundtable Anna Lanave will present the cook she co-curated entitled “#quellavoltache Storie di molestie” in collaboration with the Lucca Association Città delle Donne. As previously mentioned, Lucca Film Festival 2018 features the premiere screening of Ghost Stories directed by Anton Corbijn and of The Happy Prince by Rupert Everett. Additionally, this section also features in a world premiere Storie di altromare directed by Lorenzo Garzella – a tribute to Lucca artist Antonio Possenti (Sunday 8 April, 6.30 p.m., Cinema Astra); Isle of Dogs by Wes Anderson soon to be distributed by 20th Century Fox in Italy (Sunday 8 April, 8.30 p.m., Cinema Astra); Lucky by John Carrol Lynch, produced by Wanted to be released in September 2018, starring American icon Harry Dean (Wednesday 11 April, 8.30 p.m., Cinema Astra); and Papa Francesco by Claudio Rossi Massimi (Thursday 12 April, 8.30 p.m., Cinema Astra). This year, the International Feature Film Contest will feature 14 films premiering in Italy. The Chairman and Members of the Jury who will award the “Best Film” prize are Daniele Gaglianone, Paola Raddi e Irene Dionisio. The winning director will receive a sum of 3,000 Euros. Also in the 2018 edition, University Jury will award the “Best Film – University Jury” prize and the Popular Jury will bestow the “People’s Choice Special Mention” to one of the competing works. Effetto Cinema Notte 2018 (Day for Night) is a section in its own right within the international film festival that was created to tribute the greatest films of all times and that transforms the whole city of Lucca into a giant open-air movie set. Extending over the whole week of the Festival, 41 local downtown establishments will stage screenings, performances, build sets and create costumes in the five different areas matched to a film genre. Every evening the city will become alive with concerts and events leading up to the Grand Finale scheduled for Saturday 14 April starting at 7 p.m., when all sets designs and roving performances will take place at the same time from the afternoon until late at night. On Saturday night, Effetto Cinema Notte will host a Main Event dedicated to the stars of the Film Festival co-produced by the LFFEC and by the establishments located in the theme area. A Technical Jury will award the Effetto Cinema Notte Best Costumes Prize to the staff of the venue staging the performance most in line with the assigned film. For the first time, this year Lucca Film Festival and Europa Cinema exhibitions will be open until midnight with free admission to Palazzo Ducale and the Ragghianti Foundation. 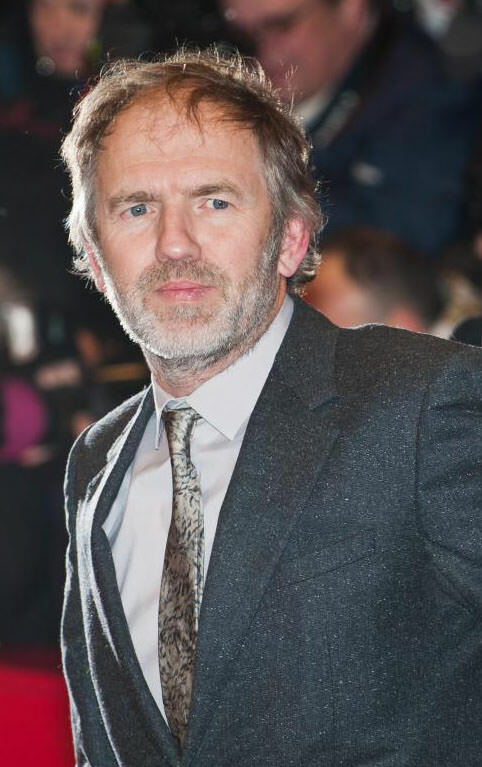 In collaboration with Lucca Summer Festival, this section takes a closer look at the relationship between cinema and music, thanks to the presence of Anton Corbijn as a special guest at the Lucca Film Festival. Anton Corbijn is the author of countless award-winning video clips, of films and of photos that portray the music world. An exhaustive retrospective will celebrate his career. Works that will be screened in this section include two films dedicated to two protagonists of the female rock scene, Marianne Faithfull (directed by the French actress and director Sardine Bonnaire) and the one dedicated to Andy Warhol’s and Velvet Underground’s muse, Nico, directed by Susanna Nicchiarelli who was a guest in a previous edition of the Lucca festival. Last but not least, “To Stay Alive: A Method”: a film that brings together cinema, music and literature, featuring the controversial French writer Michel Houellebecq and rock music’s iguana Iggy Pop. € 35 full season ticket, € 30 reduced season ticket, € 12 daily ticket, € 10 reduced daily ticket, € 7 single event ticket, € 5 single event ticket.